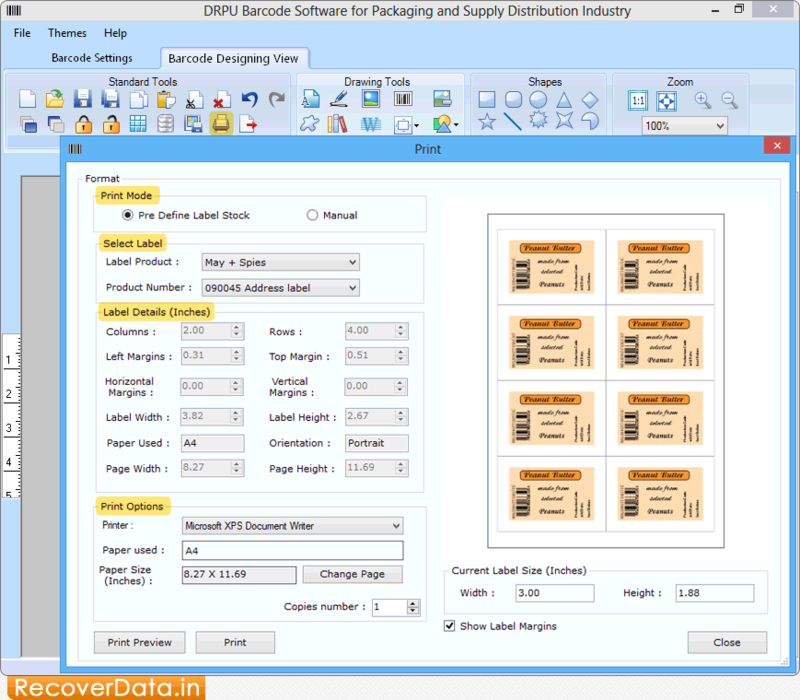 Barcode Label Maker Software for Distribution Industry provides solution to create barcode labels, stickers, tags and rolls for packaging and supply industry. With Barcode Maker software, you can design scanable barcode images for Food packaging supply distribution, Shipping industry, Wholesale packaging supplies and other business organization. Now you can keep record of products in an accurate manner and eliminate time consuming data entry process using barcode Label Maker program. Generates barcode images in linear or 2D barcode font standard. Create multiple barcode images instantly. Allows you to print designed barcode images using inbuilt printing settings. Provides different designing objects such as pencil, line, text, ellipse, rectangle and many more to create packaging barcode labels. Enable users to save generated barcode images in JPEG, TIFF, Bitmap, PNG, WMF, EMF, EXIF and GIF format.